Director Sunny Chan Wing Sun and actors Francis Ng Chun Yu, Nancy Wu Ting Yan, Ken Wong Tak Bun, Jennifer Yu Heung Yi appeared at an audience appreciation even for their film MEN ON THE DRAGON (YIK LAU DAI SHOOK) and met with the audience. Despite strong competition from ALONG WITH THE GODS: THE LAST 49 DAYS and DORAEMON THE MOVIE: NOBITA'S TREASURE ISLAND, the film won a lot of word of mouth and had an admission rate of 80 to 90%. Chun Yu admitted that he wanted to persist to the end but rarely ran into good word of mouth. He could only attract viewers steadily first. He said, "It's a very odd phenomenon, I thought we were dead! We were probably done for! We were weak and wouldn't have a lot of promotion, but Hong Kong people really like to watch something local." As for his confidence in winning awards with the film, Chun Yu said not to constantly talk about that. He joked that he would keep thinking about it. However the box office performance was already the greatest reward. As for Nancy Wu Ting Yan's big screen debut being a hit, he joked, "We depend on her! I don't know why an all new filmmaker would be famous." Wu Ting Yan admitted that she felt very lucky, her first film would perform so well. With the support from many colleagues, she too booked her own show to watch the film. Because she felt lucky she had to support herself no matter what. She said, "Earlier I just looked at the script and read about their uncle drama, which was really very exciting. I felt what happened in these uncles' lives really was very relatable to Hong Kong people and had a lot of Hong Kong flavor. The dialogue kills too!" Both her television series with Chun Yu TRIUMPH IN THE SKIES 2 and their film MEN ON THE DRAGON performed well, would she feel they made the best team? She said, "If it's a good team, I am not worried about keeping it going! I feel this film isn't enough for me, I really want to have different opportunities still. For me I am already very lucky, it's already a very good start." 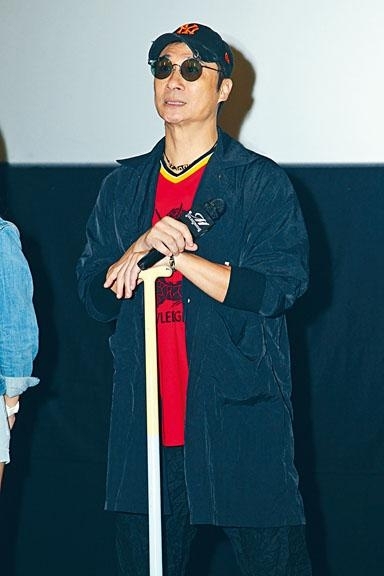 Playing Brother Tai in the film, Ken Wong Tak Bun revealed that earlier a male viewer ran into him on the streets and told him how great the film was and how it moved him to tears. "This 30 something male viewer said that the character of Brother Tai carried a lot of pressure. His superiors and subordinates were all inhuman, with the pressure at the home he said that he really could relate and learn to let go. If someone would relate to a movie after watching it and may be affected, it's a pretty pleasant thing." Many wanted a sequel. Director and screen writer Chan Wing Sun stated that he was working on it but it would need to be seriously considered. Looking back at the competition, the film was the only Hong Kong film and a rare nonsequel or adapted script. He said, "Although they have sequels to continue their momentum, I went to many audience appreciation events and a lot of people asked if there will be a sequel. I really have to seriously think about it." [2018.08.09] RON NG INJURES ANNIE LIU?